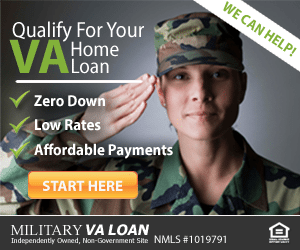 VA jumbo loans of any amount are available, and rates are low. Photo: Thinkstock. The standard VA loan limit is $484,350 in most areas of the country. But VA allows higher loan amounts of up to $726,525 in higher-cost counties. But VA loans can be even higher. There is no true limit for VA loans. Veterans can get VA loans upwards of $1 million or more. VA loans that are above standard county limits are known as VA jumbo loans. Click here to check your VA jumbo loan eligibility. Veterans who believe they need a jumbo loan because they are over the standard $484,350 loan limit should check their county loan limit. They may have access to higher-than-standard loan amounts without needing a VA jumbo loan. For example, a Veteran home buyer in Los Angeles, California can be approved for a VA loan up to $726,525 and still be within standard VA loan limits. Yet, that buyer could buy a home upwards of $1 million or more. Read on. Click here to have a professional check your county's VA loan limit. Veterans don’t need a “true” VA jumbo loan unless their expected loan amount is above the limit for the county. When the Veteran exceeds the county limit, he or she must apply for a VA jumbo loan which requires a small down payment. Here’s an example. A Veteran purchases a home for $500,000 in a county with a $450,000 VA loan limit. He would be required to make a 25% down payment on the difference. 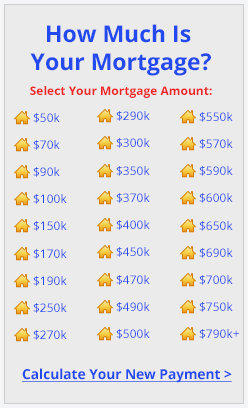 In this case, a $12,500 down payment would be required. This same formula works for any loan amount. If a veteran exceeds the VA loan limit by $100,000, he or she would make a 25% down payment on that amount. The required down payment is typically much lower than down payments for conventional jumbo loans. Veterans have access to very good jumbo loan rates and terms. VA jumbo rates are competitive with those of standard jumbo loans and require much lower down payments. The VA’s backing of these loans make them a safe loan product for banks. Lower risk means the Veteran pays a lower rate. Click here to check today's VA jumbo rates.